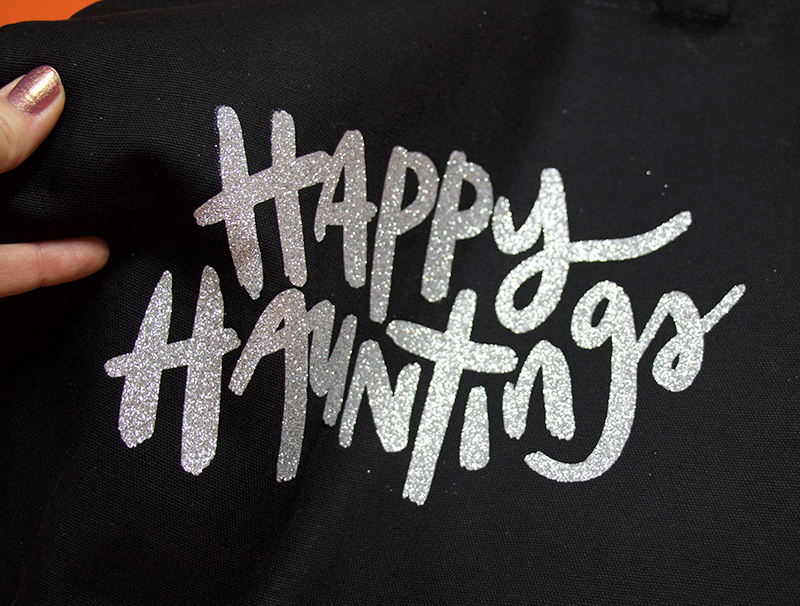 Make your own cute “Happy Hauntings” Halloween tote in no time at all using silver glitter vinyl. 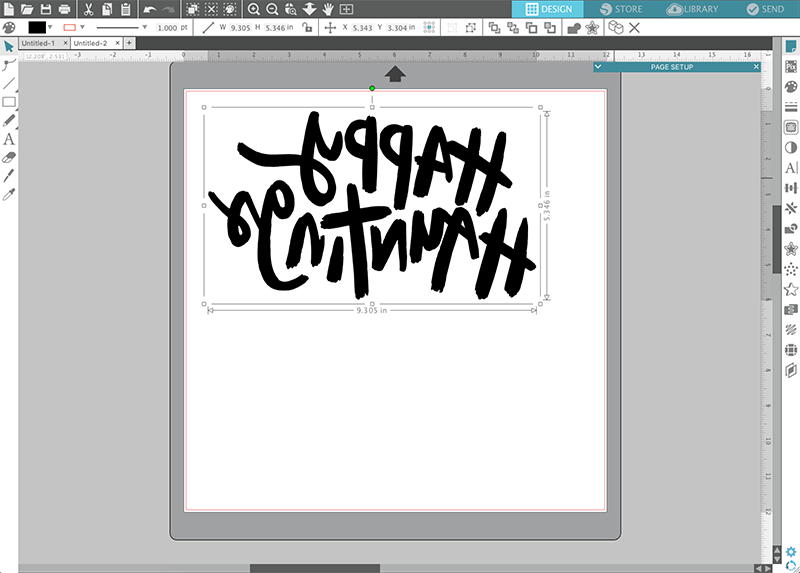 Get the free hand lettered SVG cut file to use for all of your Halloween projects! 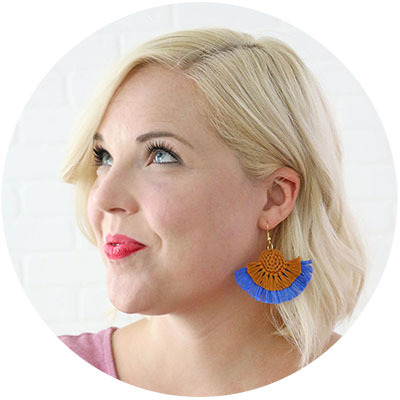 I originally shared this post at Crafts Unleashed, and it contains affiliate links, which help to support this site at no extra cost to you. I’ve shared a few different Halloween themed cut files this year (like this one, this one, and this one), but there’s always room for more cut vinyl projects, right??? I mean, I think so. I am really happy with this little “Happy Hauntings” design, and I hope you will love it too! 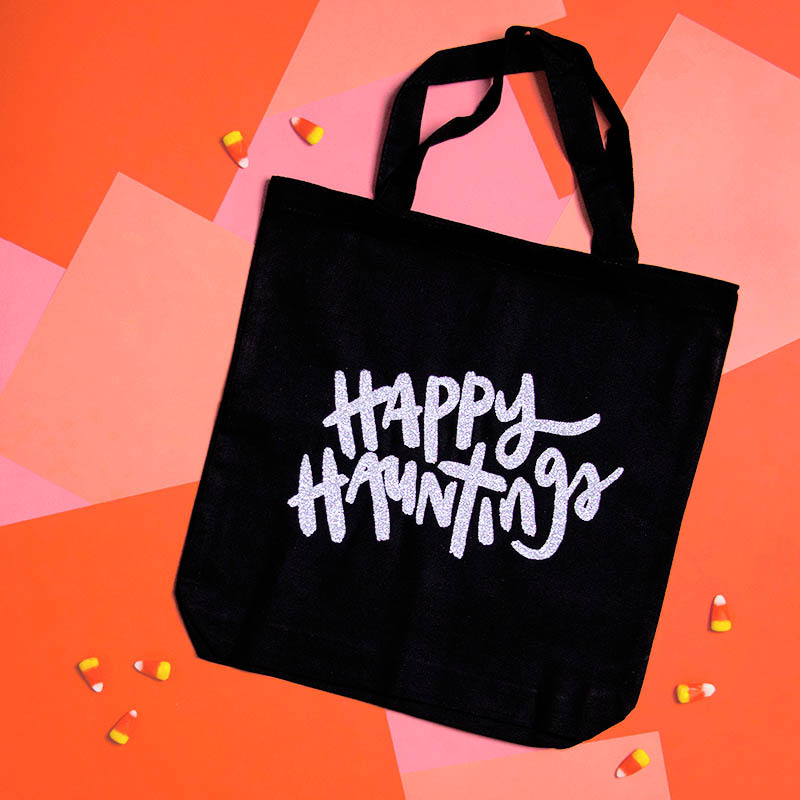 You need just a few supplies to make your own cute Happy Hauntings tote. If you are new to working with heat transfer or iron on vinyl, be sure to check out my beginner’s post for working with heat transfer vinyl right HERE. Start by opening the file in your cutting machine software (you can download it from the supply list above). 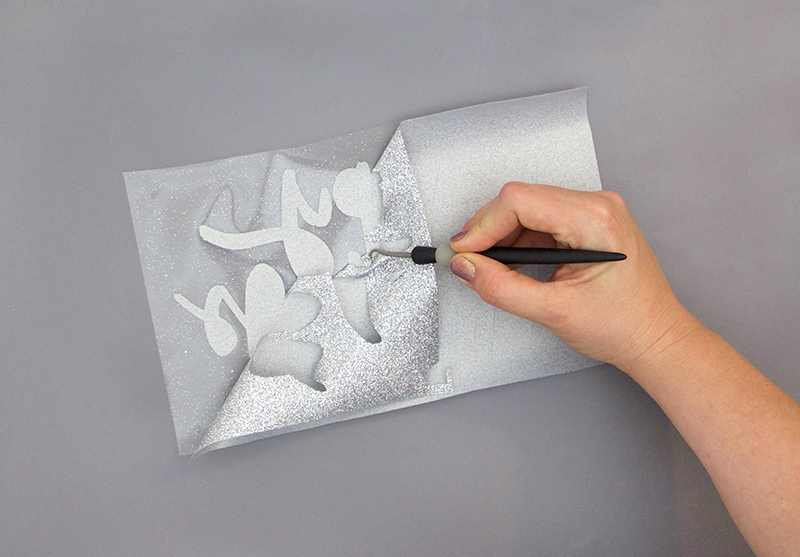 When cutting a design from iron-on or heat transfer vinyl, you have to always mirror the image before cutting so it will not be reversed when applied to your project (see the image below). Scale the design to the size you want for your project, adjust your cut settings for the material you are using, and then send it to the machine to cut. Next, use your weeding hook (or a straight pin or pair of tweezers work well too) to remove the excess vinyl from around your design. 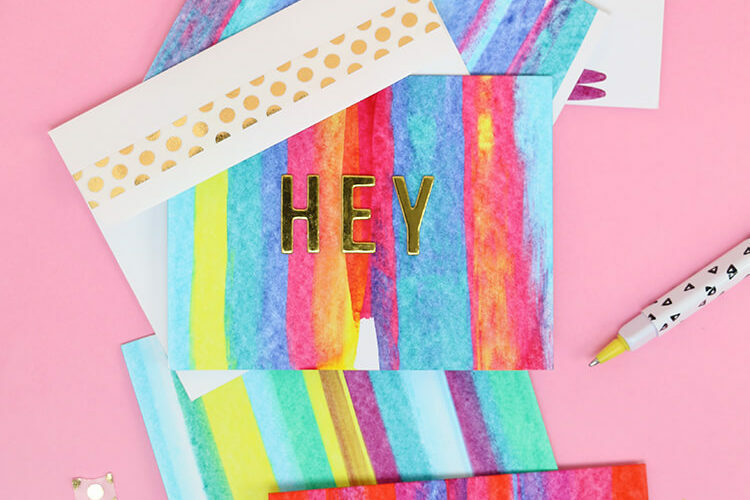 Don’t forget to get all the little spots from inside your letters! Set your iron to the cotton setting and make sure the steam is turned off. 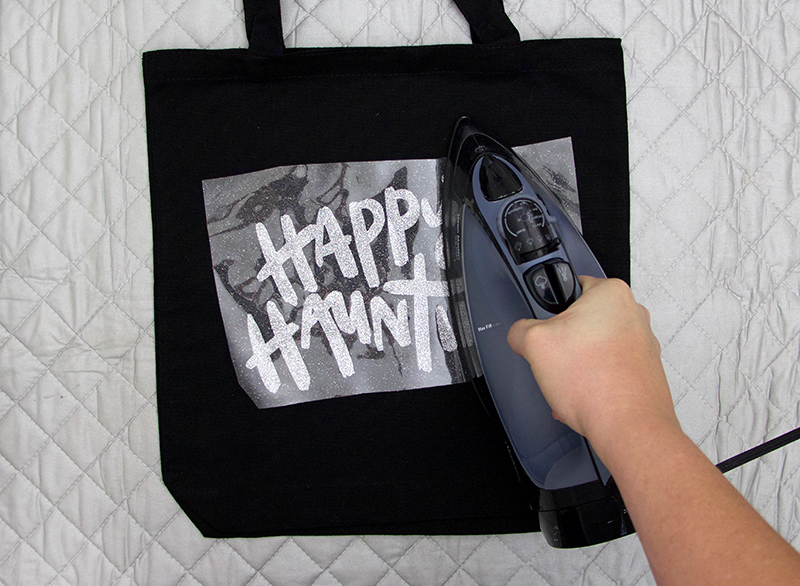 Iron the tote bag to smooth out any wrinkles and warm up the fabric. Place the design on your tote bag, flipping it so the clear plastic carrier sheet is on top and the text reads correctly. Cover with a piece of parchment paper or thin cotton fabric to protect the fabric and apply firm pressure to the entire design for 10-15 seconds. If you like, flip the bag over and and iron on the backside of the bag as well. Finally, peel off the carrier sheet to reveal your pretty new tote. It I love the sparkle you get with this vinyl! 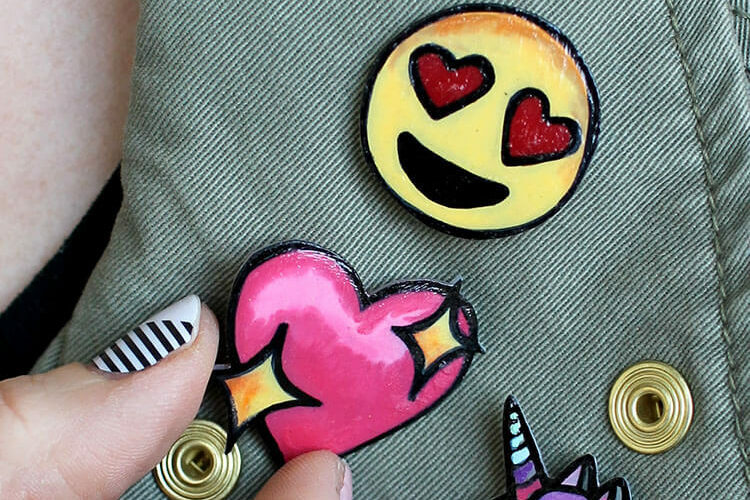 The best part is it won’t shed glitter all over your house. ? 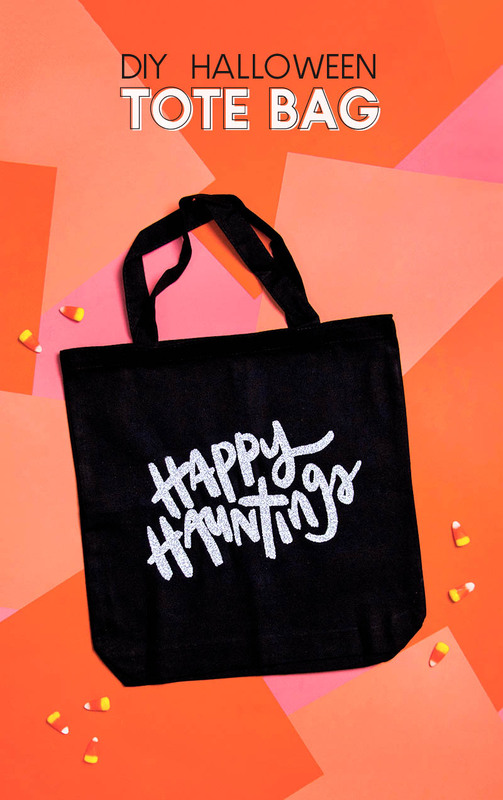 Your cute Happy Hauntings Halloween tote is ready for tricks, treats, and any other spooky outings! Happy Hauntings and Happy Making!